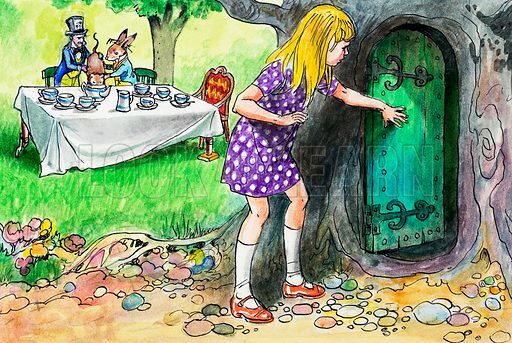 Alice in Wonderland, based on the novels Alice in Wonderland and Alice Through the Looking Glass by Lewis Carroll. From Treasure (1966-67). Original artwork loaned for scanning by the Illustration Art Gallery. Available worldwide for immediate download up to 4,884 x 3,276 pixels.